As we continue into 2019, we have seen the market begin to flatten out. Excluding the more obscure states like Wyoming, we see a majority of states approaching a 1 to 1 ratio. Some states are showing a ratio below one, meaning there are more trucks than loads in a given area. This is beneficial for both SEL and our customers when it comes to capacity and buying power. With more trucks in the area, we are able to cover shipments quickly and at more competitive rates. This current state of the market is a welcome change. Although truckload rates can fluctuate quickly, we are anticipating this trend to continue in February. 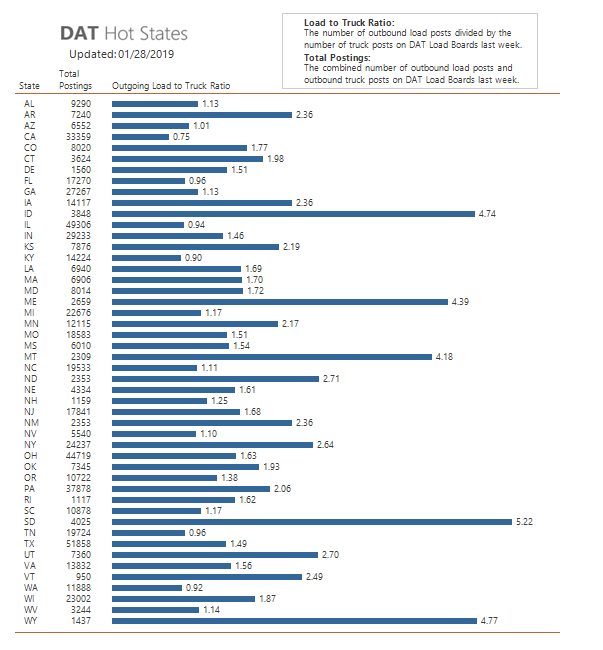 Domestic Truck Rates Correlate to Air? SEL is tightly bound to the Air Freight industry due to our customer base. Usually, air prices and truckload prices are vastly different. It was not until recently that a correlation between the two had been noticed. In a previous edition of From the Summit, we discussed shipping from Los Angeles to Dallas, and how that specific lane can be a good indicator of the entire domestic truckload market. Coincidently, is also a good indicator of market changes when shipping from Hong Kong to North America. As shown above, we can see the clear relationship between the two over the past few years. This example shows that global freight methods are more interconnected than many people would realize initially. 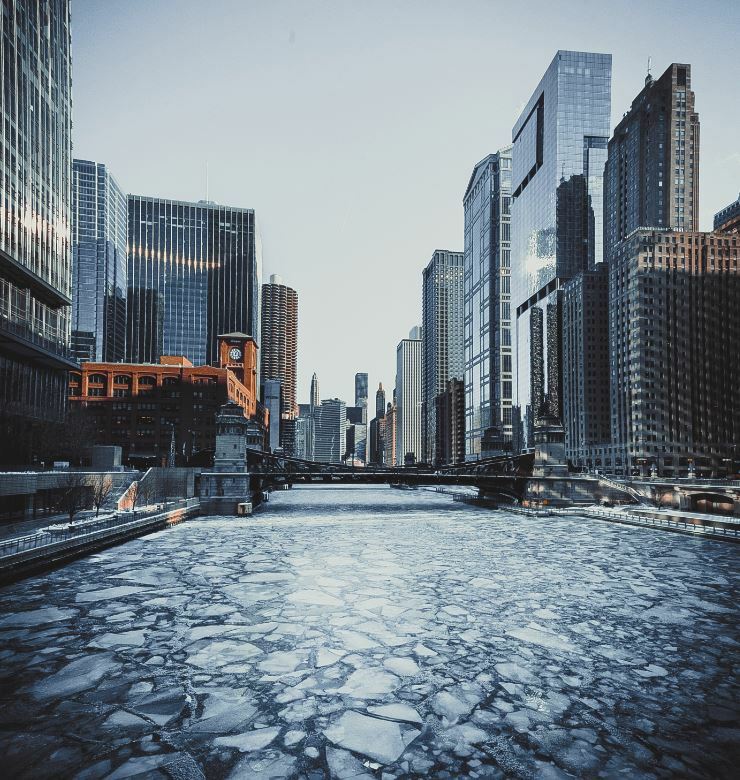 As the Midwest begins to thaw out from record breaking temperatures, the freight industry is still feeling the effects. When temperatures dip into the sub-zero territory, we encounter lengthy delays from breakdowns or re-scheduled pickups and deliveries. While the truckload market is a major aspect of our business, these delays also impact railroad providers. According to BNSF, the cold air can cause rails to break and affect trains’ braking systems due to air flow issues, both furthering delays. In situations like this, the railroads lean heavily on their drayage partners to help alleviate any overflow at their ramps, and shippers are stuck looking for truckload capacity in order to move their freight. The spillover of freight can cause a quick spike in rates until operations return to normal. Customers may see a slight capacity crunch, but things should even out by the end of the week. Diving into 2019, Summit started the year off strong by welcoming our largest incoming group of new employees; five Account Executives joined the SEL team on Monday, January 7th. Click here to read more about training at SEL. Information in this newsletter was obtained from FreightWaves, LA Times, and DAT Solutions, LLC.